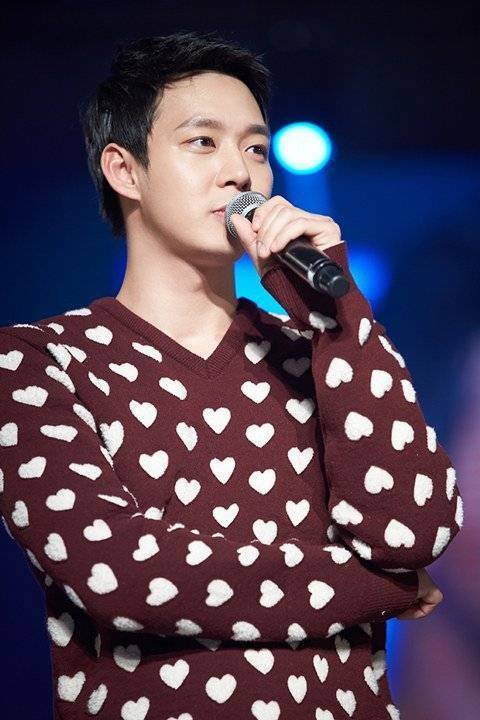 Fans of Yoochun have given him an early birthday present! The JYJ member will be spending his birthday next month by holding his first solo fan meeting, and tickets for the event have already sold out. 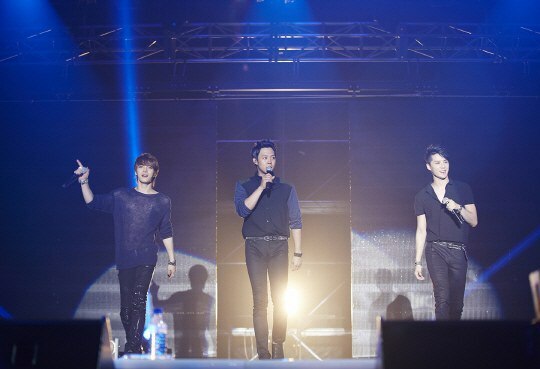 Yoochun is holding his fan meeting with 6,000 fans at KINTEX, Ilsan on June 4. 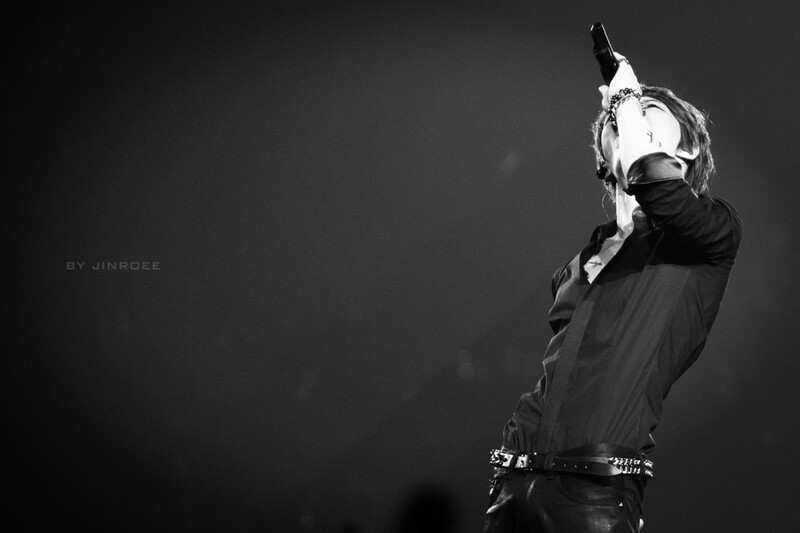 TVXQ have become the first foreign artistes to perform at the Tokyo Dome for three consecutive year. The group made this announcement during their fanclub event that was held on the 23rd of November at the Saitama Super Arena in Japan. The accomplishment is extremely meaningful to both TVXQ and their fans as this makes TVXQ the first foreign artistes to hold a solo concert at the Tokyo Dome for three consecutive year. 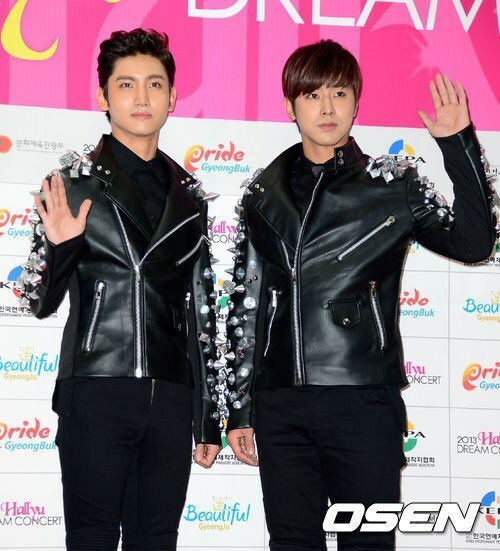 The news of TVXQ’s upcoming nationwide tour was reported by various Japanese media outlets. Oricon, Sankei Newspaper, Nikkan Sports were some of the media outlets that covered the announcement and gave detailed information on the upcoming tour in posts titled ‘TVXQ: Becoming the first foreign artistes to perform at the Tokyo Dome for three consecutive year’. Meanwhile, TVXQ met with 36,000 fans at the fanmeet that was held on the 23rd and performed a rendition of ‘Very Merry Xmas’, their single that will be released on the 27th of November. (2.49pm KST, Korean & English) Everyone I’m here!!! are you ready??? 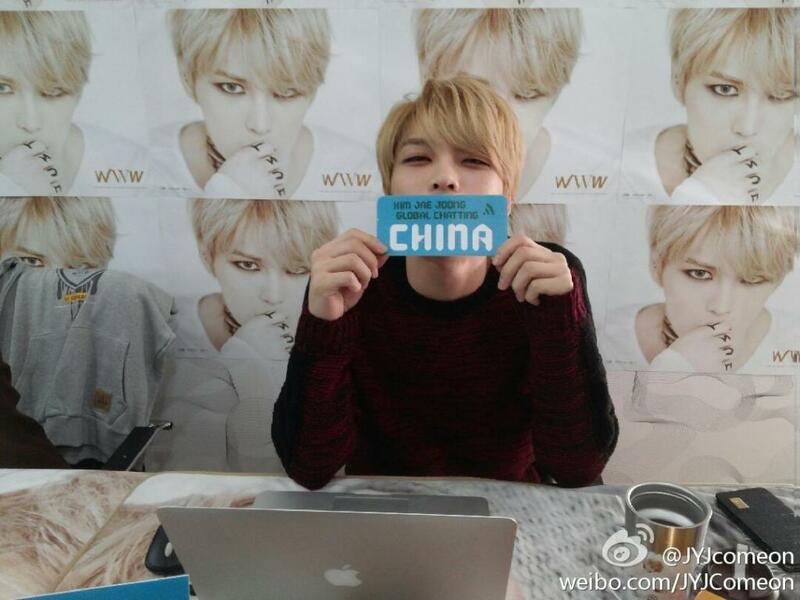 (3.01pm KST) Hello everyone in Beijing~ Hello everyone in Shanghai~ Is everyone else well too? (3.02pm KST) Have you guys heard the title track? (3.11pm KST, Fan’s post, Korean) We’ll be meeting in Nanjing on 7 Dec! (3.13pm KST, Reply) Alright! I’ll be there soon! Nanjing’s good! Good! 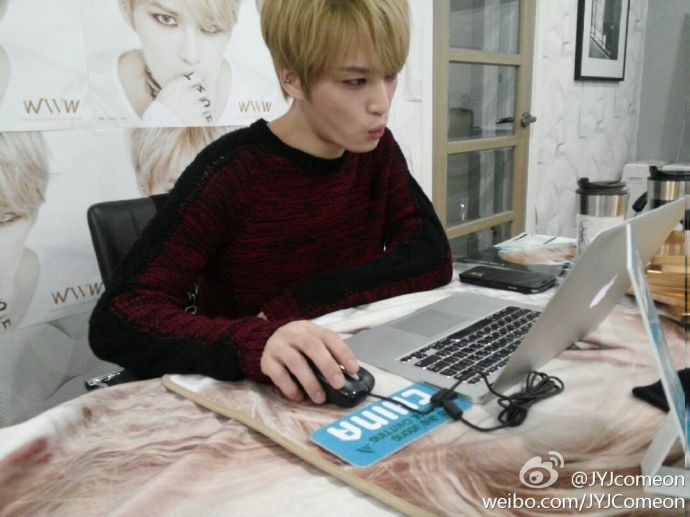 (3.11pm KST, Fan’s post) I sent so many questions… Could you answer one please?? (3.13pm KST, Reply, Chinese & English) Questions go! go! go! 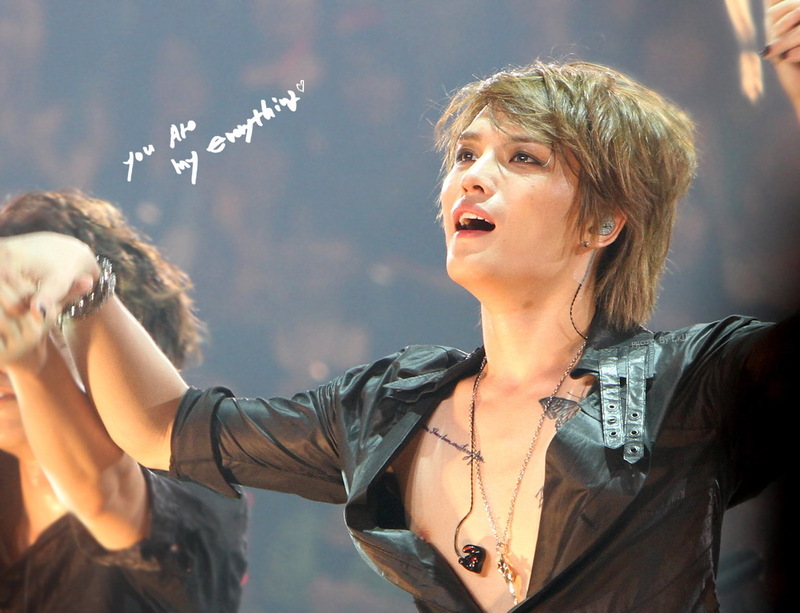 (3.14pm KST, Fan’s post) Will there be any special points about the Nanjing concert as compared to the Seoul concert? 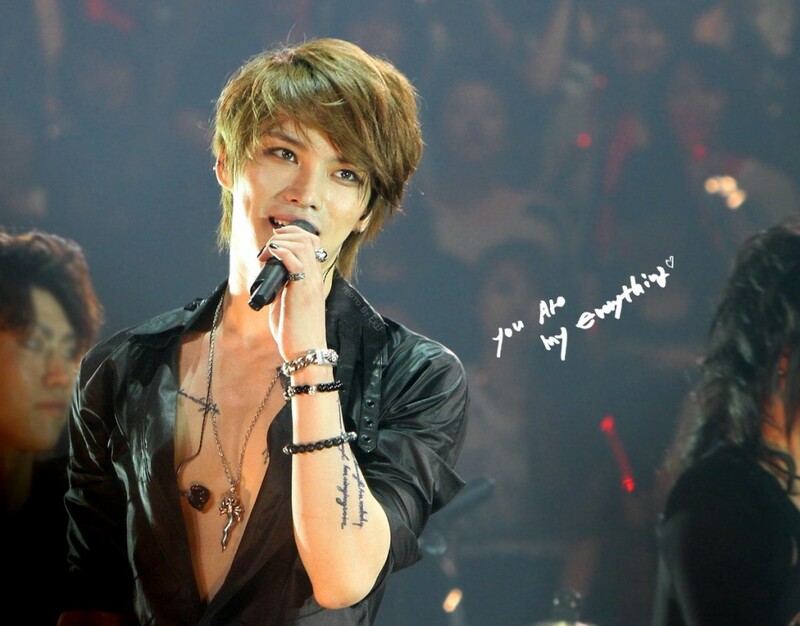 (3.14pm KST, Fan’s post) Why are you becoming skinnier? I hope you’ll put on a bit of weight. Also, could you tell everyone your secret to losing weight? (3.16pm KST, Fan’s post) Oppa.. Are there any Chinese dishes which you like..
(3.18pm KST, Fan’s post) Oppa, you’re in a good mood today right?!! 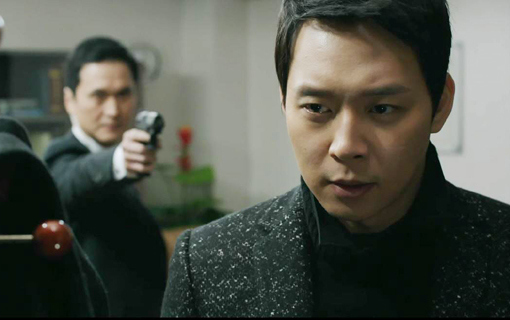 (3.21pm KST) Has everyone seen the new M/V? How was it? (3.20pm KST, Fan’s post) Can you talk about how you maintain your skin? (3.22pm KST, Korean) Send many questions!!! Gogogo!! (3.23pm KST, Fan’s post) perfect!!!! Will there be other MVs being released? (3.24pm KST, Fan’s post) Oppa. 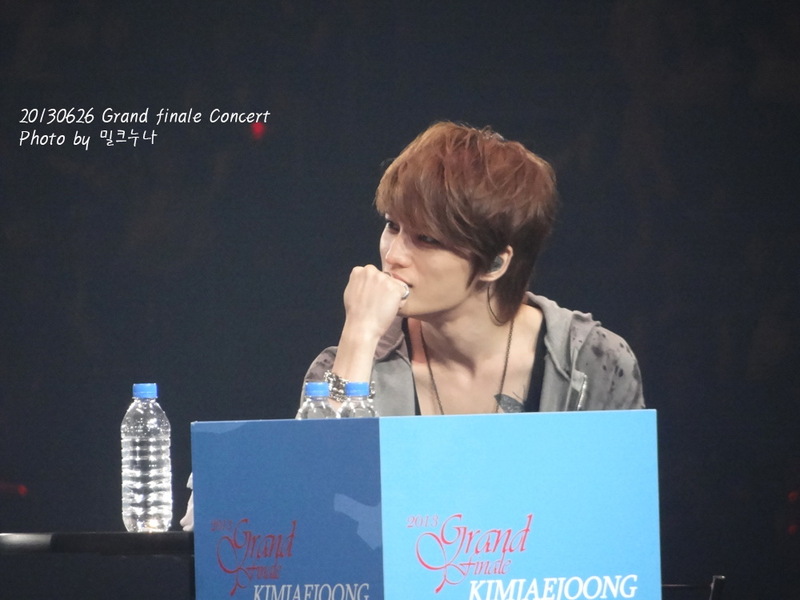 There’s a Chinese translator beside you right? If so just say “ah”..
(3.26pm KST, Fan’s post) Oppa, I really like the album this time, the concept and the outfits. Do you like it?? 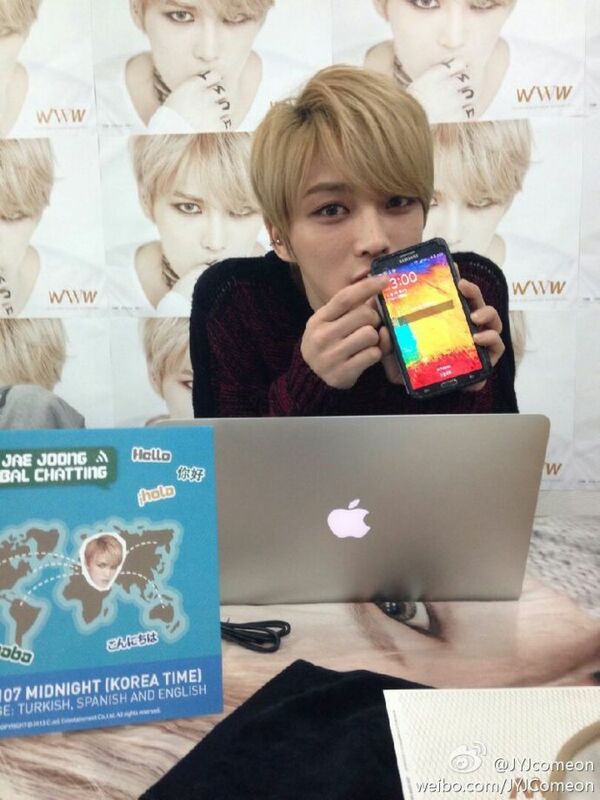 (3.28pm KST, Fan’s post) Oppa you’re so good looking!!!! 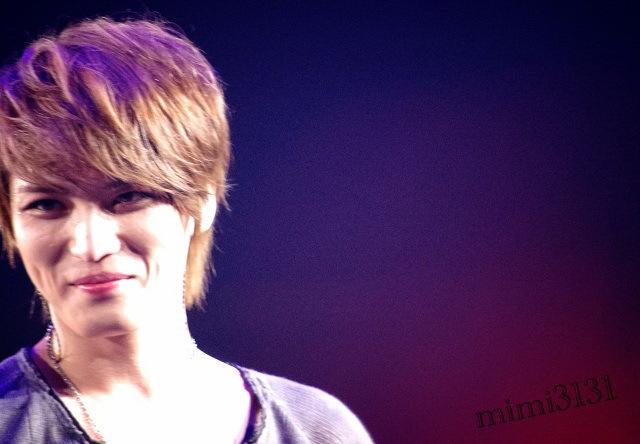 You’re the most good looking!! (3.28pm KST, Fan’s post) Oppa what’s your idea girl type like? (3.32pm KST, Fan’s post) What do you like to do on rest days? 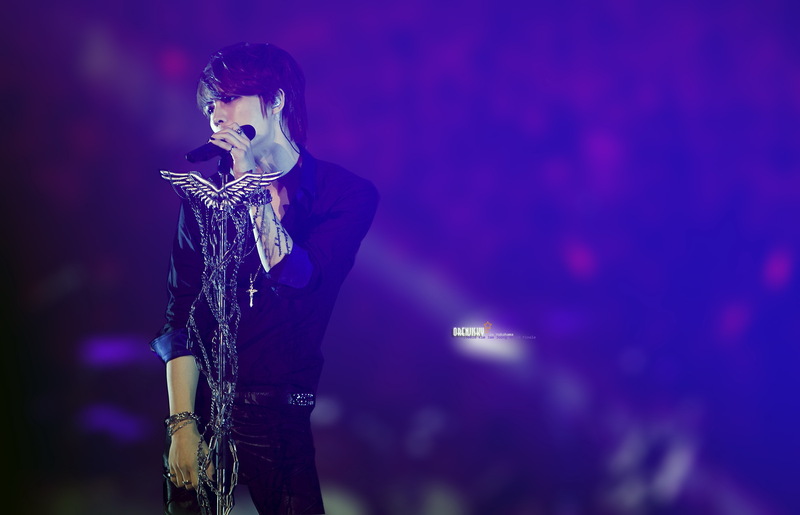 (3.36pm KST, Fan’s post) Oppa, I think the hairstyle in the MV is really manly. What do you think? (3.38pm KST, Fan’s post) Do you like the left side of your face or the right side? 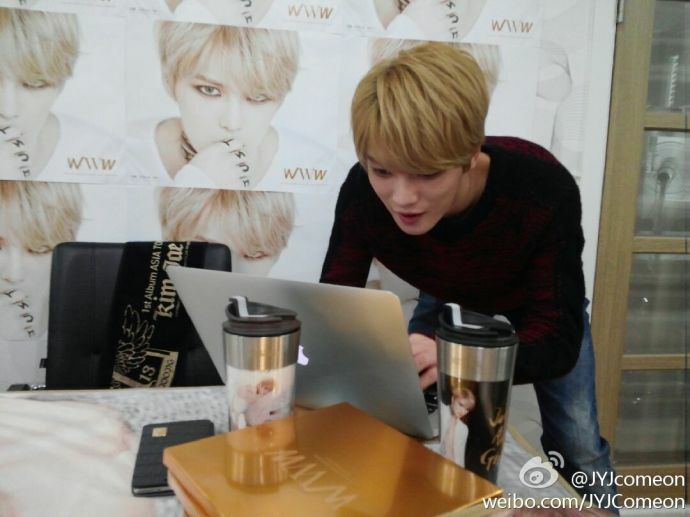 (3.40pm KST, Fan’s post) Does oppa like drinking milk!!! My home is in the grasslands!!! We have milk cows!!! Come visit!!! (3.42pm KST, Fan’s post) May I ask what your weight is now? 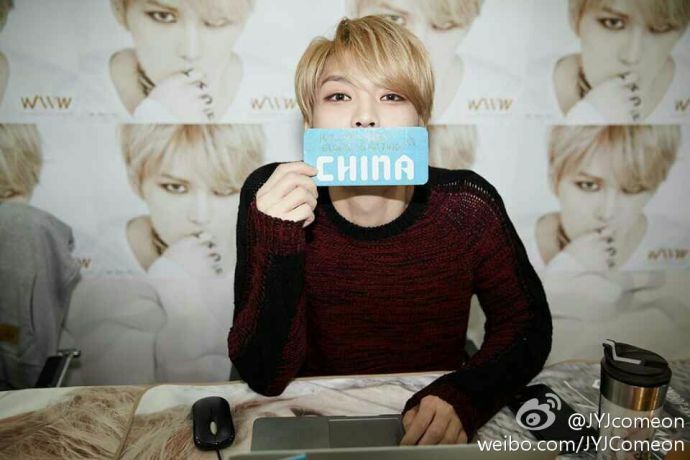 (3.44pm KST) Let’s have fun in Nanjing~ Is everyone ready? 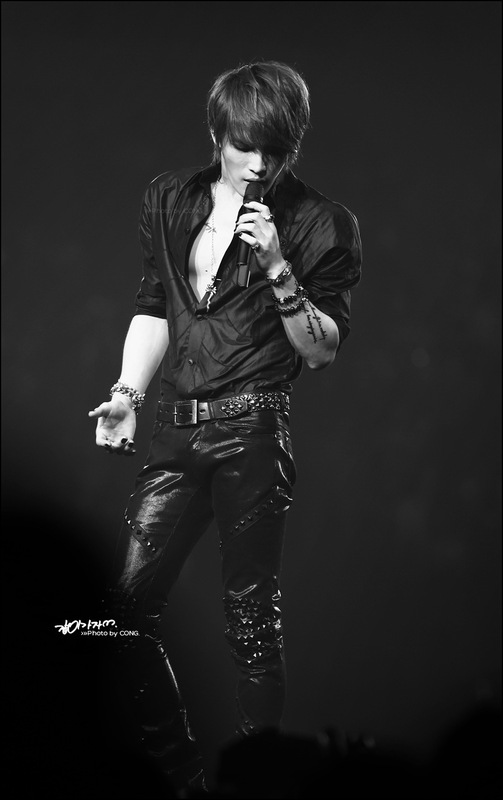 (3.45pm KST, Fan’s post) Oppa are you well? (3.46pm KST, Reply) I’m good, are your parents well? 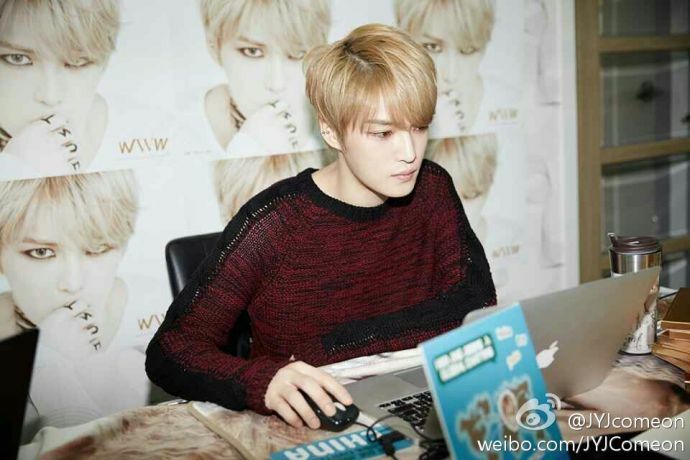 (3.44pm KST, Fan’s post) Can the time for questions be extended by a little bit? 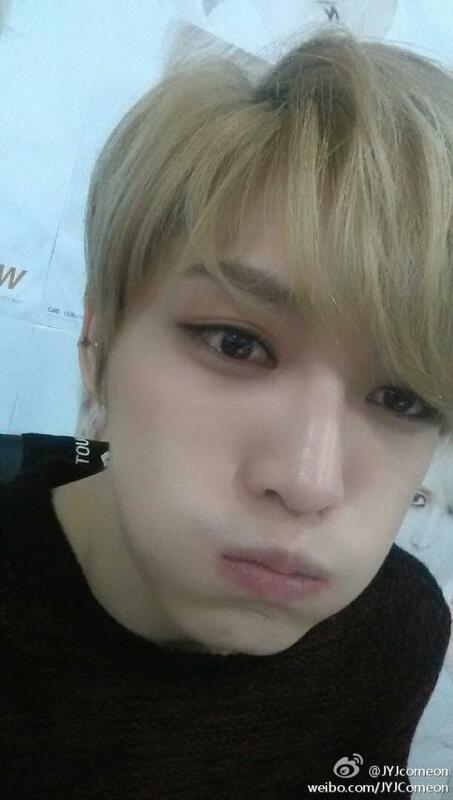 (3.52pm KST) I have cheeks now..! (3.52pm KST, Fan’s post) Why! 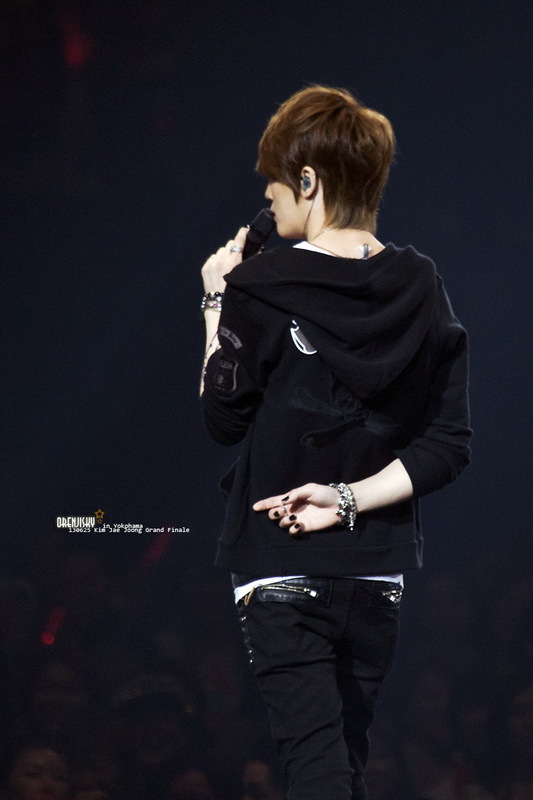 Oppa, look here look here! It’s ending soon, I sent so many, why aren’t you replying? (3.54pm KST) Last question~ go go go! (3.48pm KST, Reply) call!!!!!!! Of course!!!! (4.02pm KST, English) And Dress code for Nanjing concert…!!! Light, Scream, Delight…!! OK?! 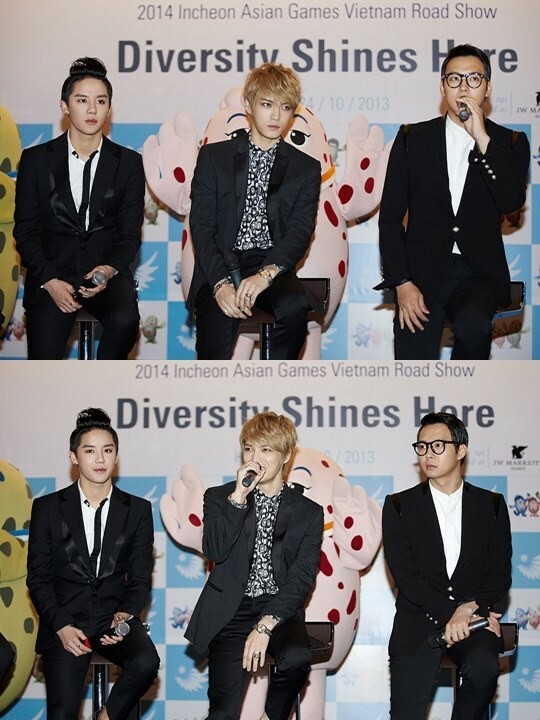 JYJ united 3,400 fans during their roadshow and showcase in Vietnam for the ’2014 Incheon Asian Games’! 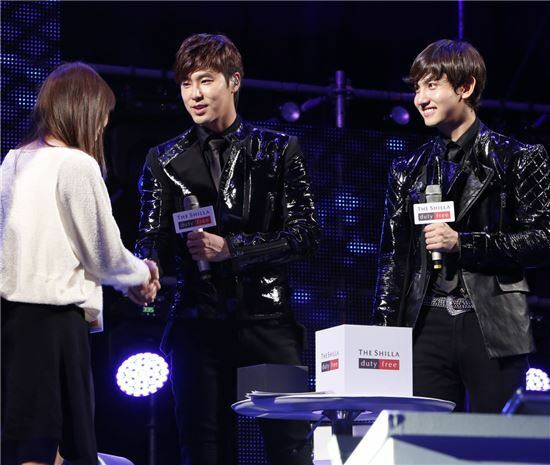 The TVXQ Fan Festival was held on the 13th at COEX and gave Japanese fans an opportunity to fly to Korea to meet with TVXQ. A total of 2,000 Japanese tourists flew in for the event, twice as many as last year, for the two day trip and enjoyed a trip around Seoul and the Shill Duty Free main shopping centre, and met with TVXQ during their fan festival before flying back to Japan. The day’s event had TVXQ gifting lucky fans with the shirts and cardigans they had worn during their Shilla Duty Free photoshoot. 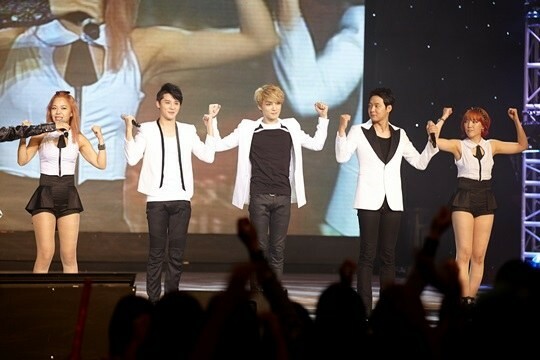 JYJ held their ’2013 JYJ Membership Week’ fan expo from the 27th till the 30th of June at SETEC in Seoul. 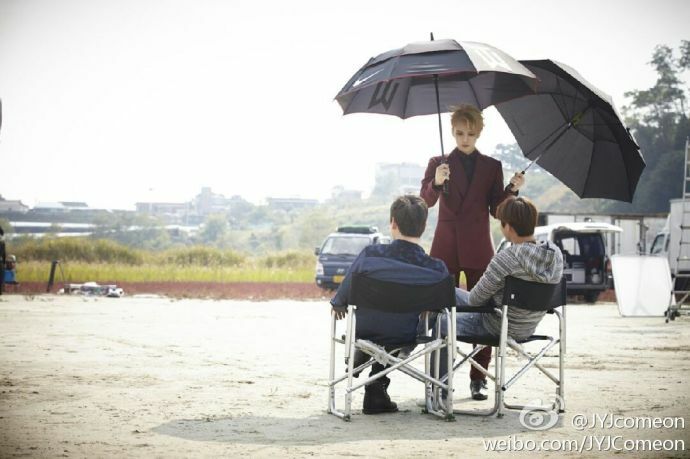 The ‘JYJ Membership Week’ is a large-scale fan expo held by C-JeS Entertainment for those signed up for the JYJ membership program. 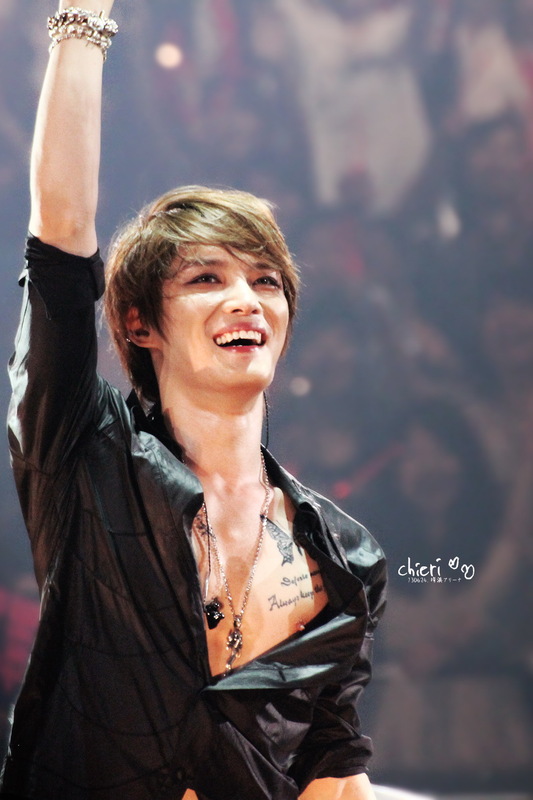 The reason why JYJ’s fan expo has garnered so much attention is because it has shifted the paradigm away from that of fanmeets, concerts and handshake events held by other entertainment agencies. 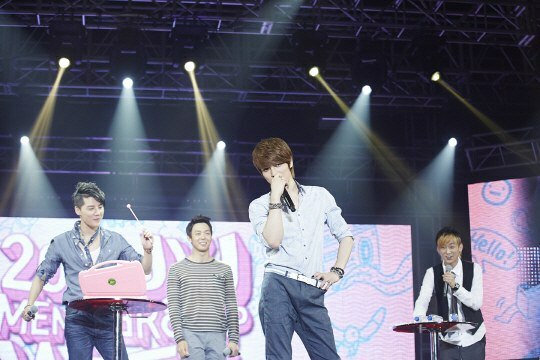 They haven’t stopped at just singing and acting, but they have also utilized artwork and technology to create various attractions for fans. 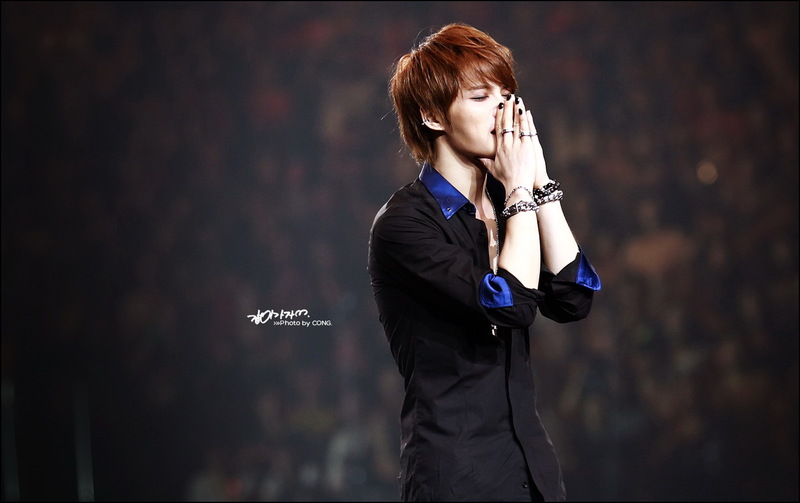 JYJ began their fan expos last year and have placed their focus on new projects and creating a connection with their fans. 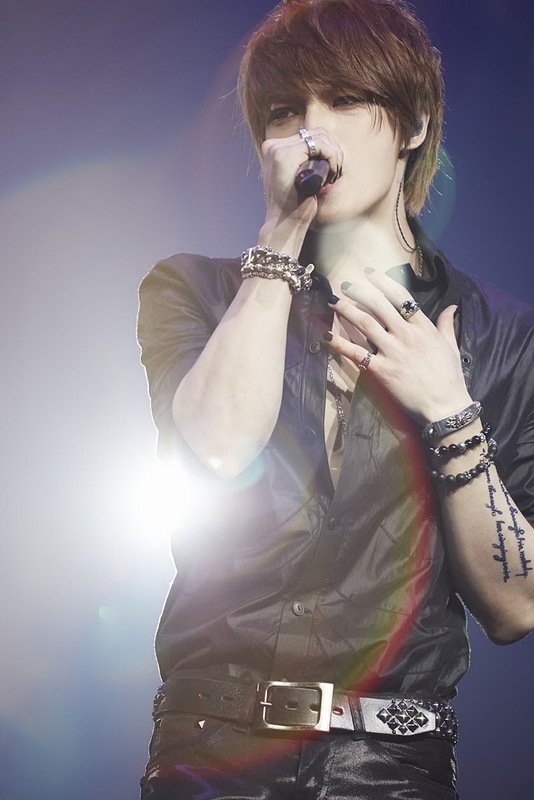 They have received positive feedback for creating a new economically innovative paradigm for the Hallyu culture. 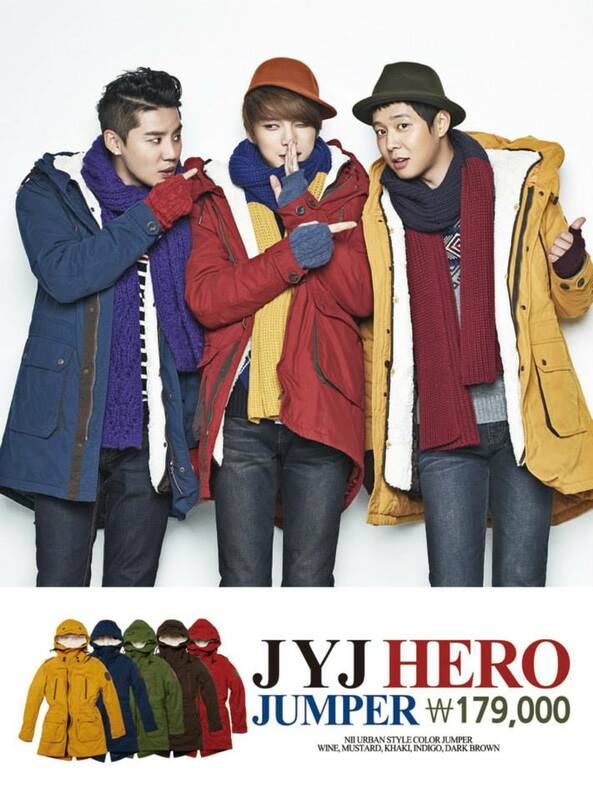 JYJ took the 3,000 pyeong space at SETEC, located in Daechi-dong, Seoul, and created three different spaces to share JYJ-related contents and JYJ’s own artwork. 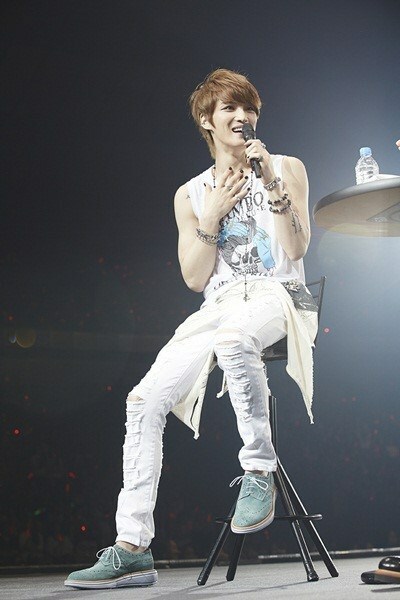 The first area held a fanmeet open to fans chosen through a lottery system. The second area was a Media Facade square that featured a media facade, cafeteria and a sticker photo zone. 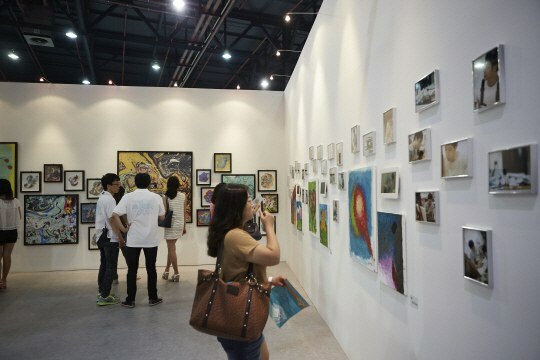 The third area was an art gallery and concert hall that featured artwork created by JYJ and a screening of JYJ’s Tokyo Dome concert. 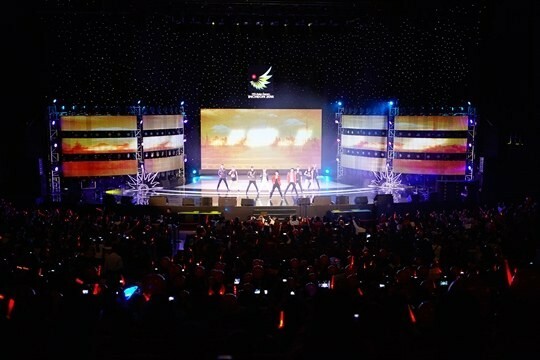 The ’2013 JYJ Membership Week’ event was attended by 17,000 fans. Thanks to the 4,000 Japanese fans who were visiting Korea for the event, Myeongdong’s Lotte Hotel experienced a rare treat. 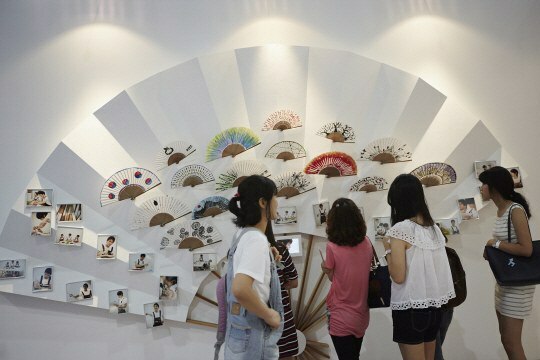 The shopping districts that had been suffering due to the depreciation of the Yen and the decrease of Japanese tourists were smiling once again thanks to these fans. 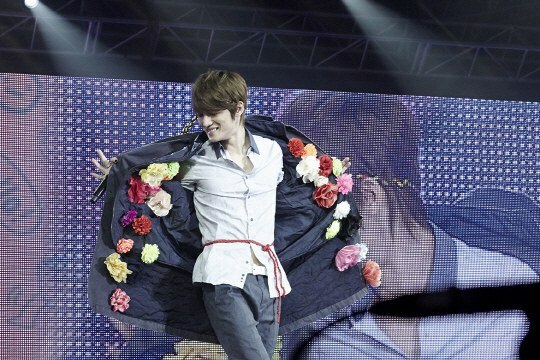 It was later said that the Japanese fans also embarked on a tour that took them around Myeongdong and Gangnam. 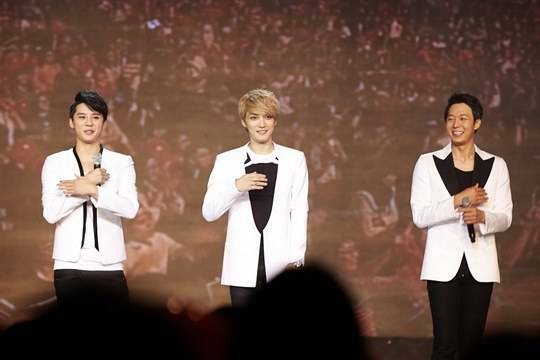 During the ’2012 JYJ Membership Week’ event, JYJ’s agency C-JeS Entertainment rented 3,500 hotel rooms in Seoul, Incheon and Suwon, and prepared 250 buses and 300 guides for Japanese fans attending the event. It was stated that this year’s event included similar preparations. Last year’s event attracted a total of 22,000 fans, including 7,024 Japanese fans, to break the record of the most foreigners flying to Korea to attend a single event.